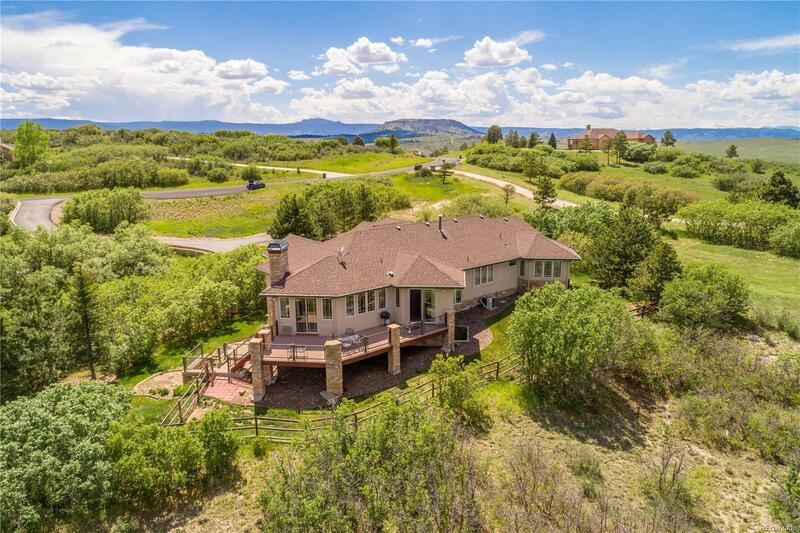 Mountain contemporary walk-out ranch perched on a small valley providing occupants maximum privacy. Beautiful, custom doors welcome guests into the central foyer with easy access to both wings of home. Entertainment wing features a large gourmet kitchen w/ cherry cabinets, granite counters, prep island, eat-in counter which is open to breakfast nook & family room, large formal dining room, exquisite office that could be a 4th main floor bedroom & access to deck that has stairs to fenced yard below. Living wing features 3 spacious bedrooms, a full bath w/a double vanity, spacious powder bath for guests, master suite with a 5 pc. en-suite; laundry room with a separate mud/garage entry space. Walk-out has large entertainment room w/exterior access, bedroom w/full bath & access to patio, tons of unfinished space to grow...Lower level could easily be converted to an in-law unit. Zoned for a 2nd structure RV garage/workshop/pool house. Lowest price per sq foot ranch in BMR!